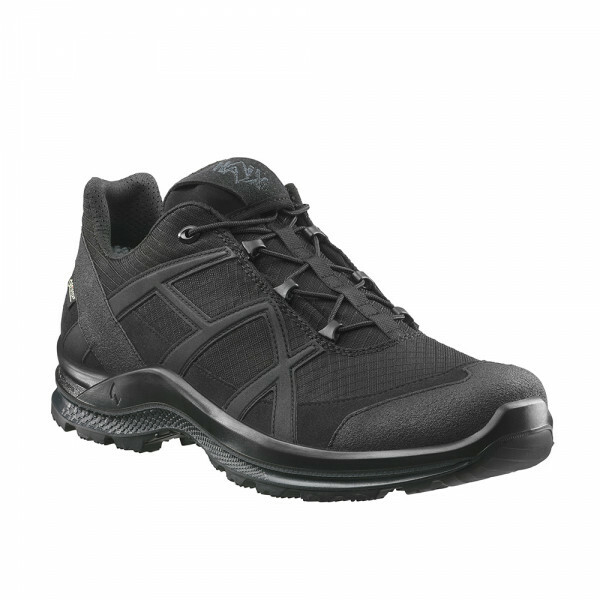 Product information "HAIX Black Eagle Athletic 2.1 GTX low/black"
Comfortable, cushioning, moisture repellent, anti-bacterial, washable at 30 °C. Separate heel shape for good cushioning and foot insertion. “AIRFLOW” channels. Excellent grip on a variety of terrains, even in the cold due to specific outsole design and use of special rubber.